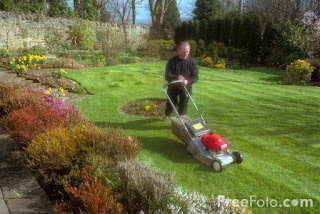 June 6th is... 'Thank God It's Monday' Day, Atheist Pride Day, Ramadan, D-Day (1944), Drive-in Movie Day, National Huntington's Disease Awareness Day, Applesauce Cake Day, National Gardening Exercise Day, Jefferson Davis' Birthday, National Hunger Awareness Day, National Yo-yo Day, Russian Language Day. 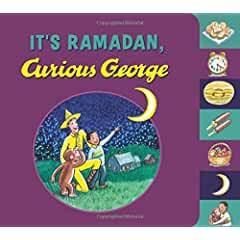 -- It's the first day of Ramadan, and George is celebrating with his friend Kareem and his family. George helps Kareem with his first fast and joins in the evening celebration of tasting treats and enjoying a special meal. Then, George helps make gift baskets to donate to the needy, and watches for the crescent moon with the man in the yellow hat. Finally George joins in the Eid festivities to mark the end of his very first Ramadan. 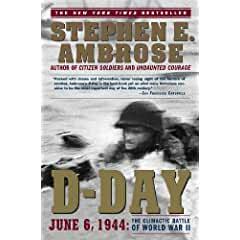 -- D-Day is the epic story of men at the most demanding moment of their lives, when the horrors, complexities, and triumphs of life are laid bare. Distinguished historian Stephen E. Ambrose portrays the faces of courage and heroism, fear and determination—what Eisenhower called the fury of an aroused democracy — that shaped the victory of the citizen soldiers whom Hitler had disparaged. Drawing on more than 1,400 interviews with American, British, Canadian, French, and German veterans, Ambrose reveals how the original plans for the invasion had to be abandoned, and how enlisted men and junior officers acted on their own initiative when they realized that nothing was as they were told it would be.